Vous pouvez également utiliser 27200 Kobo Super Points pour l'obtenir ! 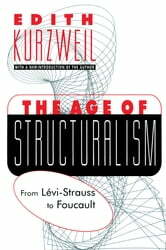 Structuralism began in linguistics and was enlarged by Claude Levi-Strauss into a new way of thinking that views our world as consisting of relationships between structures we create rather than of objective realities. 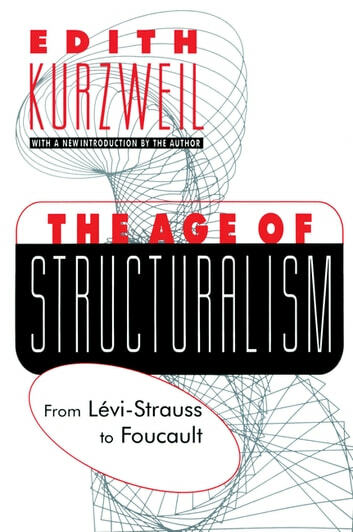 The Age of Structuralism examines the work of seven writers who either expanded upon or reacted against Levi-Strauss. In a panoramic overview of the origins of deconstructionism and its critics, Edith Kurzweil offers a lucid and penetrating portrait of the movement that dominated French intellectual life for much of the postwar era, and which continues to influence the French intellectual milieu. She explains Levi-Strauss's strikingly original contributions, then proceeds to illuminate the ideas of crusaders and critics. The key figures dealt with include: Louis Althusser, who reinterpreted Marxism through a rereading of Marx's texts with the help of structuralist techniques; Henri Lefebvre, who remained faithful to Marx's humanism and was one of the earliest and most vehement critics of structuralism; Paul Ricoeur, whose phenomenology sought to reconcile ethical theory and intellectual pursuits; Alain Touraine, a socialist whose sociology of political action led him to dismiss structuralist concerns; Jacques Lacan, who criticized ego-oriented psychoanalytic theory and practice, and whose own work emphasized linguistic structures in psychoanalysis; Roland Barthes, whose literary criticism, in its determination to reject all false notions and systems, led to a highly idiosyncratic approach that drew upon all systems; and finally, Michel Foucault, whose social histories of deviance, medicine, psychology, grammar, language, sexuality criminology, have reexamined every facet of social theory. Placing these major figures in the context of political, historical, and psychoanalytic currents of the time, The Age of Structuralism is a commanding and far-reaching study of a decisive epoch in intellectual history. Kurzweil's new opening essay explains how these towering figures prefigured current emphasis on semiotics, post-structuralism, deconstruction, and post-postmodernism. Kurt H. Wolff called it "lucid, splendid and unobtrusive" when the book first appeared. It remains a central work in the appreciation of the French giants upon whose shoulders the new crop of thinkers expect to stand.